We keep your piano and you sounding great! A & A Music Academy offers private music lessons within Hanover Park and the surrounding communities for ages 5 through 105! Lessons are available in all instruments, with an emphasis on piano, guitar, voice, strings and band instruments, Monday through Saturday per your schedule. Established in 1982, A & A Music Academy and its 16 member degreed professional faculty, continues to help students of all ages reach their musical potential and grow their love of music. In addition to private music lessons, we offer expert piano tuning and repair services to the local area and northwestern Chicago suburbs. 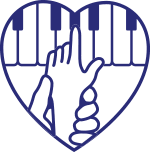 Click here for more information on our registered piano technicians and services. Expand your love of the arts! Watch our video to learn about A & A Music Academy’s art and music campus, their prestigious faculty and how we can bring out the artist in you.